VentEko provides full Environmental Due Diligence (EDD) assessing potential environmental risks related to the transaction. Experienced team of professionals ensures high quality assessments that are adjusted to each individual transaction and compliant with relevant national and regional regulations. By MDW Environmental Services Pty Ltd based in Midland, AUSTRALIA. By HWM Group based in Otterbourne, UNITED KINGDOM. By Standard Testing and Engineering Company based in Oklahoma, OKLAHOMA (USA). 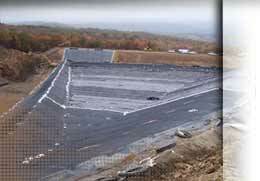 By GeoEnvironmental Resources, Inc. (GER) based in Virginia Beach, VIRGINIA (USA). By GeoModel, Inc. based in Leesburg, VIRGINIA (USA). The commercialisation of abondoned land that was used for industrial, commercial or military purposes is often difficult due to expected » contaminations. As a result such sites are often unused for years or even decades and new developments are realized on valuable, untouched land. By Peschla + Rochmes GmbH based in Kaiserslautern, GERMANY. Phytoremediation is the use of plants for the capture, removal, conversion and / or degradation of harmful substances in soils or (ground)water. Plant-associated bacteria and mycorrhiza play an important role. Sometimes the role of the plant is limited to improve the growth conditions for these micro-organisms. By Clemmens Consult bvba based in Watou, BELGIUM. Removal & Disposal. Lab Packs. Methamphetamine Labs (DEA Cleanups). UST, AST Tank Cleaning and Removal. Soil & Groundwater Remediation. Phase I, II & III Property Assessments. Geological Investigations. By Elite Environmental and Safety Services, Inc. (EESSI) based in Evansville, INDIANA (USA). By NOVA Engineering and Environmental, LLC. based in Kennesaw, GEORGIA (US) (USA). By Evans Mill Environmental, LLC based in Uwchland, PENNSYLVANIA (USA).